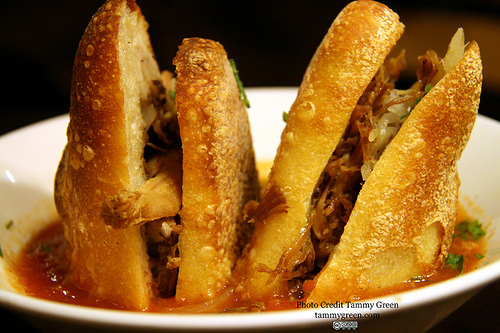 If you missed some of the fantastic dining options while you were in the city, never fear! Many iconic Chicago dining experiences can be found between arrivals and departures at O’Hare International Airport. Chicago is famous for its deep dish pizza, and Pizzeria Uno (29 East Ohio Street) is the place that started the trend of thick crust, cheese on the bottom and sauce on top. 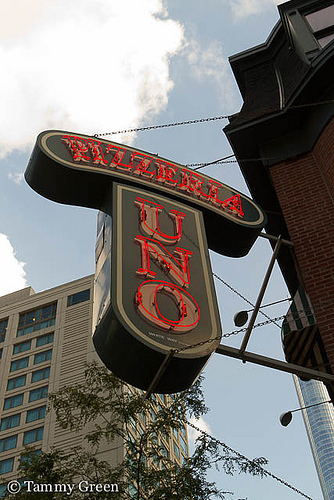 The original pizzeria is within walking distance of Michigan Avenue, and despite the small space and average 45 minute wait, remains a huge draw for tourists and locals alike. For many, the pizza here is the baseline by which all other Chicago-style pizza is judged. For me, it’s all about the spinach pie. If you can’t squeeze Uno’s into your trip, you can still see what the fuss is about by sampling the airport version at Terminals 2, 3, and 5. Eli’s Cheesecake Company (6701 W. Forest Preserve Dr) has a café at their Chicago facility where you buy cheesecake by the slice, as well as get a nice sandwich and bowl of soup. 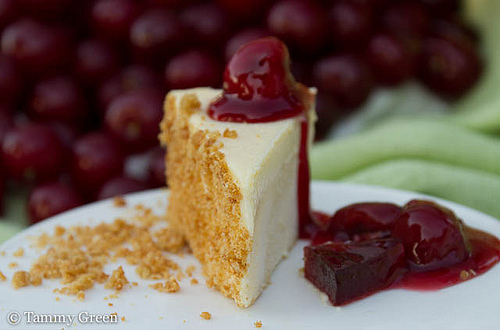 However, most Chicagoans experience their luscious cheesecake during the many street festivals, on a dessert menu or by buying one at the grocery store. I’m a fan of the original cheesecake topped with cherries, but won’t say no to whatever they’re serving in Terminal 1. Rick Bayless is synonymous with Chicago cuisine. Between fine dining at Frontera Grill and Topolombobo (445 North Clark Street) and his interpretation of street food at Xoco (449 North Clark Street), this James Beard award winner has authentic Mexican cuisine available at every price point. Find delicious tortas like the Pepito with braised beef short ribs, get a bowl of the delectable tortilla soup, or try Chef’s outstanding guacamole at Tortas Frontera in Terminal 1. From the Naga candy bar made with sweet Indian curry, coconut, and deep milk chocolate to the ancho and chipotle chili-laced Red Fire bar, I crave chocolatier Katrina Markoff’s many creations. 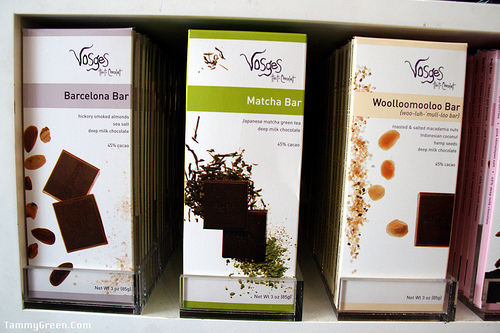 Vosges Haut-Chocolat (951 W Armitage Ave and 520 North Michigan) is a worthwhile place to stop for any true chocolate aficionado. If you don’t have the time to seek out dessert while you’re in town, make time to enjoy Vosges’ elegant, chocolaty escape in Terminal 1. With these dining options, there’s certainly no reason to go hungry at O’Hare! This entry was posted in Dining and tagged Eli's Cheesecake Company, Frontera Grill, Katrina Markoff, Pizzeria Uno, Rick Bayless, Topolobampo, Tortas Frontera, Vosges Haut-Chocolat, Xoco. Bookmark the permalink.